Voter Registration Tuesday (Sept. 18) was a success. 19 students registered to vote, and 74 students affirmed that they were registered already! For those who registered, remember, you must print off the personalized form, sign it and mail it in to be received before Oct. 9. Ask a library staff member to print the form for you if you don’t have money on your RaiderCard. And, see Nan, Kathy or Kevin if you need a postage stamp and/or envelope! As part of Civic Engagement Week, several sites on campus will host Voter Registration Days this week and next Monday. 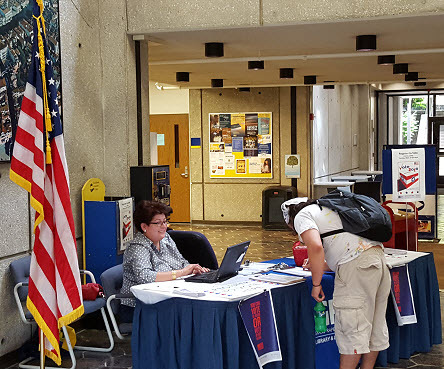 Come to the Library & Learning Commons Lobby between 11-2 today (Tuesday, September 18) and register to vote – OR – visit and check the Michigan database to see if you are already registered! More information on Voter Registration and other Civic Engagement Week doings is found on the 2018 Voting Subject Guide! We the People of the United States…. 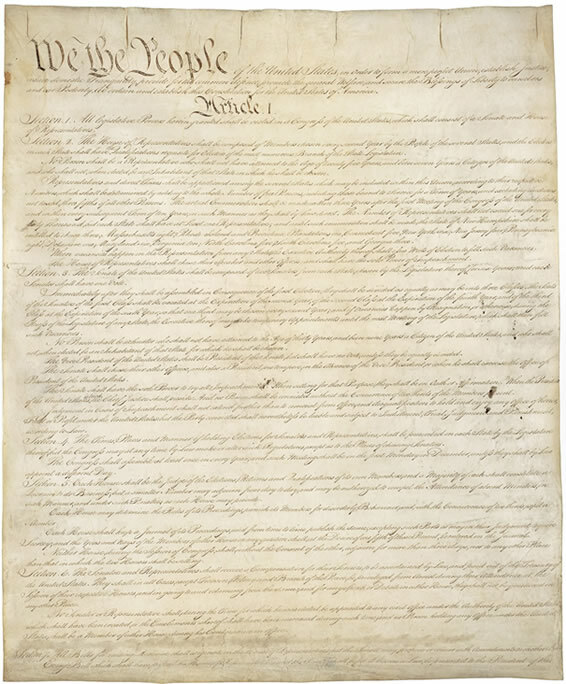 Monday, Sept. 17 is Constitution Day – a national holiday – and the kick-off for Civic Engagement Week! Student Alliance will be handing out copies of the Constitution from 11AM – 2PM – in the Student Center Lobby. Constitutions will be available in four different languages. Voter registration tables will be available Monday – Wednesday during Civic Engagement Week – check for voter registration locations and times. The Library’s Voter Registration event will be on Tuesday, in the Library Lobby, from 11-2. Join us in celebrating our nation’s founding document. For more information on voter registration, see the Library’s 2018 Voting Subject Guide. Comments Off on We the People of the United States…. Are you registered to Vote in the August Primary? Monday July 9 is the last day to register to vote in the August Primary Election. Are you registered to vote? The Michigan Secretary of State provides a tool to check to see if you’re already registered. There’s also a list of candidates on the August Primary ballot. Be sure you can vote – and then be sure to vote! Check out our Voting 2018 Subject Guide! Comments Off on Are you registered to Vote in the August Primary? Fatima Nieves registered future voters at the LLC event. Retired Counselor Fatima Nieves, with library employees Kevin Lyons and Nan Schichtel, registered 32 new voters for the upcoming November elections – and beyond. They spoke to over 100 students, faculty, and staff on Tuesday, September 13th. “It was encouraging to hear so many students tell us that they were already registered to vote!,” Schichtel noted. Registrants will receive their voter registration card in the mail within 2-3 weeks, along with information on their polling place. And some of them will receive extra credit – some classroom faculty offered extra credit for a snapshot of the registration form!